Idris-multihash is an implementation of the multihash standard by the people over at multiformats.io. Multihash allows any program to interpret hashes without making any assumption. Idris and multihash being both relatively new, a library to encode and decode multihashes did not exist, so we made it! Multihash will be instrumental for Statebox since lots of data is encoded as hashes and multiple systems need to correctly interpret them. Moreover, the Idris community can also use it for their own projects. Check it out here. Our satellite project Typedefs has received much attention this past month. For this reason we have started releasing some documentation for it. Learn what motivated us to write it in the first place, see examples and try it out. Another greatly explained blogpost on functors continues our series of category theory in Idris. You can find the post here. 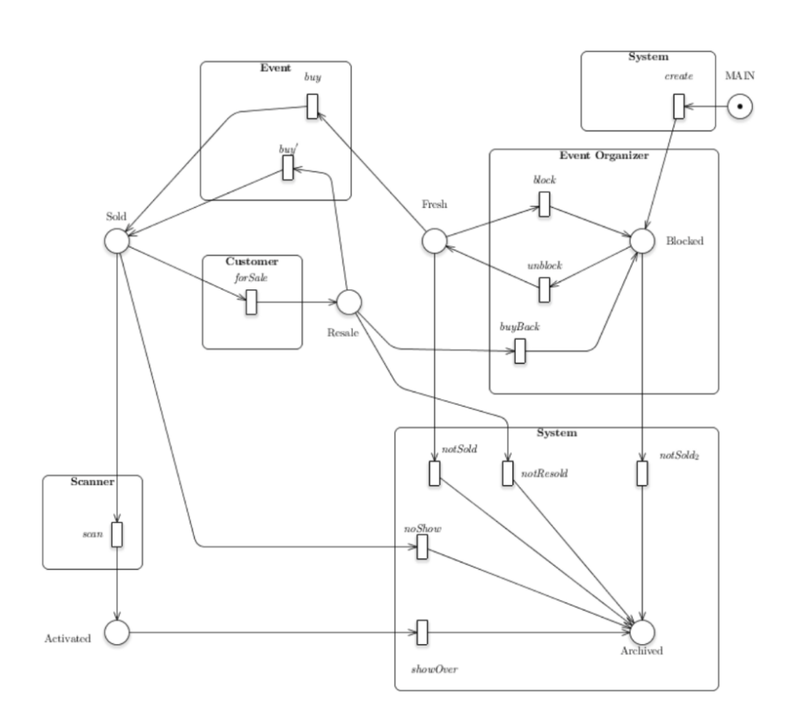 In case you have missed the first two, you can find them on our Medium blog, along with other informative writings, such as How to Model Smart Contracts with Petri Nets. "Early 2018 we set out on a mission to find a technology to replace the ownership logic that was conducted by a Solidity contract. The question we asked ourselves was: ‘How to make ticket ownership registration scale-able without compromising on transparency and immutability?’ This question was technically daunting, with large portions of the crypto projects still tackling it to this day. Luckily we bumped into the team of Statebox during SXSW last year and we immediately saw the merit of what they were building." For a detailed description, check out their blogpost. You might need to scroll down to reach the section "The state of GET scaling - Statebox".